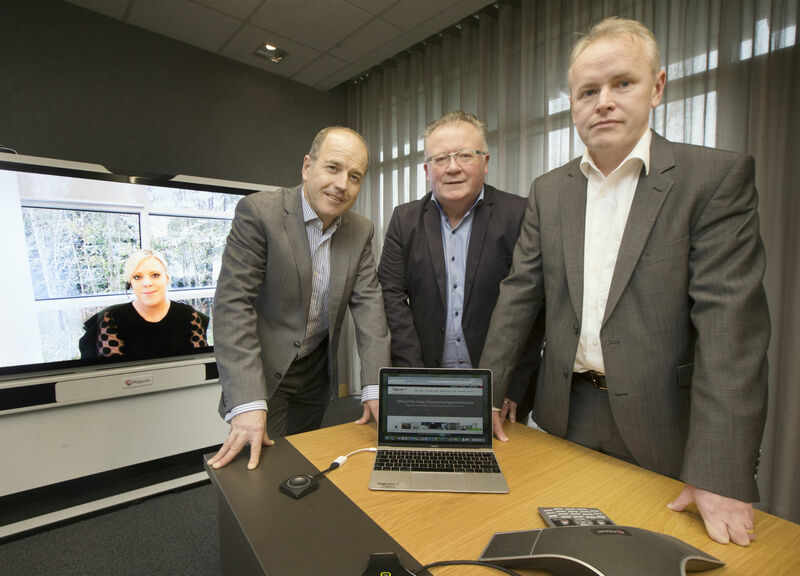 Digicom Managing Director Greg Clarke are Stephen Scannell, Teleflex Director of Global IT Service Support and Brendan Moran, Teleflex EMEA Controller and Site Leader. Digicom today announced the creation of 30 new jobs over the next three years on the back of a strong pipeline in the burgeoning commercial office market which has seen more than €520 million in new lettings in the first nine months of 2017 alone. Established by current Managing Director Greg Clarke in 1997, Digicom is a market leader in the provision of managed print services, audio visual solutions and support services with partners located across the globe. The company this week marked its 20th year in business and is undertaking several significant projects in Ireland, the UK and mainland Europe. It currently employs more than 40 people. The recruitment drive has already begun and the roles will be based at its head office in Ballymount, Dublin. The new positions which are being created will work within the tech and support unit for Digicom. They include project managers, technical engineers, sales, programmers, CAD drawers and trainees. Digicom MD, Greg Clarke, stated: “We are delighted to announce these new positions in Dublin which marks significant growth in our Irish-owned company over the last 20 years. “We take pride in providing best-in-class print and audio-visual services and support. As independent consultants, we work closely with our clients to ensure they get the most effective technology option for their needs. “The digital workplace is rapidly evolving. There is a huge search for talent and the way to attain and retain that talent is investment in the latest technology. The millennial generation that is entering the workplace, and increasingly maturing into decision-making roles, want their technology at work to be the latest available and seamlessly integrate into their work and personal lives. For many employers, the technology in their office is as important an incentive as anything else – it is mission critical. Digicom recently completed a substantial project for global medical devices firm Teleflex which employs over 250 people in Athlone. The Irish facility services other Teleflex operations across three continents and reliable, state-of-the-art technology is critical for this. The company also includes Mazars, IBEC, SMBC and Ardagh Glass in its impressive list of clients. Recently, Digicom worked on projects with Zurich in the Isle of Man and Bank of Ireland in London and Bristol. On Thursday, 9th November, Digicom will host an event in the CHQ building entitled “Office of the Future”, inviting the public and their clients to experience the world of unified communications and talk to professionals for advice on how to improve your workplace.